Spread pizza sauce over pita bread. Sprinkle with cheese and add any toppings you would like. Preheat the oven to 375. Place pizzas on a cookie sheet. 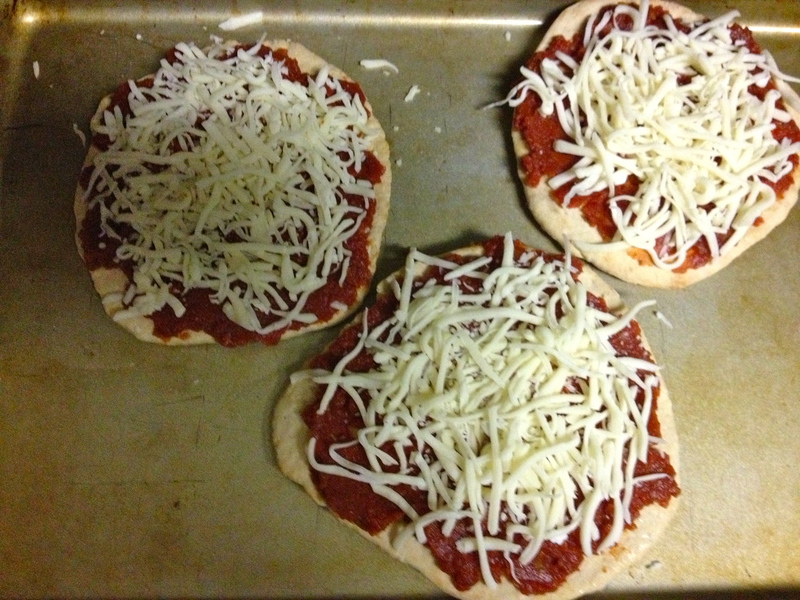 Bake for 10-12 minutes, or until cheese is melted and the crust is crispy.